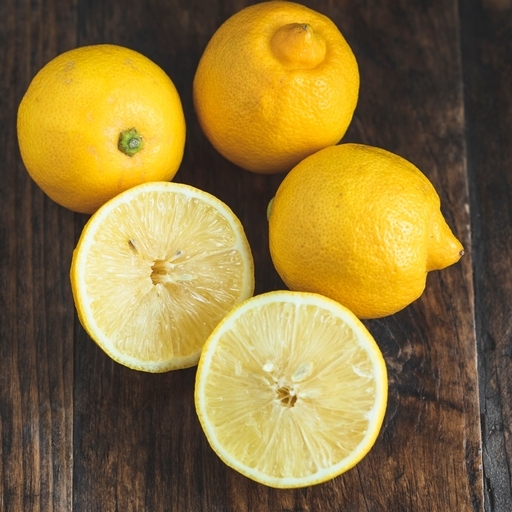 No ordinary lemon, this rare citrus fruit is a little star. The size of a satsuma, intoxicatingly aromatic, sweet-sour in flavour and bursting with juice. You may recognise its exotic floral fragrance – bergamot oil is what gives Earl Grey tea its perfumed flavour. Squeeze over pancakes, steep in hot water for a refreshing tea, use in salad dressings or to make sweet curd, sorbet or marmalade. A little tip: roll a lemon back and forth between your hands before using, and you'll be able to squeeze more juice.